Melissa S. was getting married in one month. She complained that the photos that she was taking lately were causing her to cover her mouth. 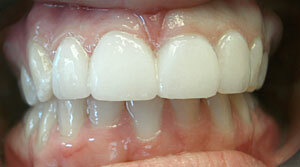 Wanting better wedding photos, she came to see Dr. Cirka who placed 4 upper PORCELAIN VENEERS on her front upper teeth. She had a beautiful wedding in the Caribbean and sent the office a postcard when she was away. 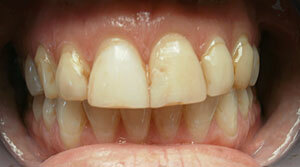 Having thick, unsightly bonding prevented Mary A. from feeling confident. 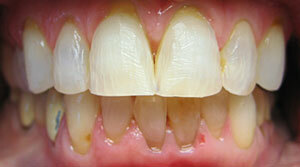 The discoloration of her teeth made her appear older. 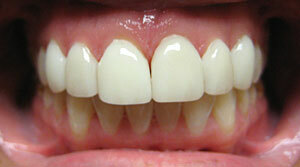 The whiter smile of 8 upper PORCELAIN VENEERS in just two visits allowed Mary to sparkle-which boosted her confidence. As a real estate agent, she told Dr. Cirka that she has had more sales because of her increased confidence. Now that is improvement! Having small teeth, Stephanie R. constantly had people tell her that she had something stuck in her teeth. 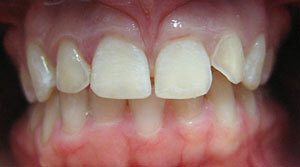 Although not true, gaps do give the appearance that there is food stuck in the teeth. 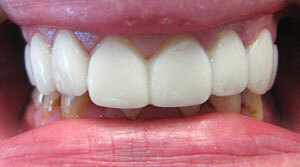 With a simple fix of 8 upper PORCELAIN VENEERS, her gaps are closed and the teeth slightly larger. Told he had ‘corn teeth’ as a child because of the shape and yellowness, Jim S. came to Dr. Cirka asking for a cosmetic makeover. 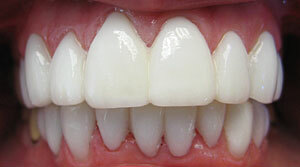 Confident that he could deliver an amazing change, Dr. Cirka recommended 8 upper and 10 lower PORCELAIN VENEERS. The patient started the next day, had all done in one visit, and now looks at the change. The results speak for themselves. Stephanie M. has permanently stained teeth. 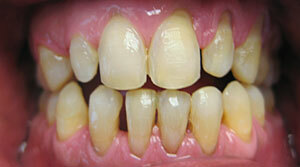 The lower teeth were dark because of an antibiotic called tetracycline she ingested as a child. 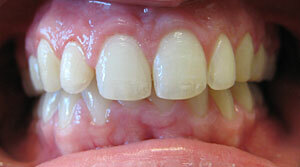 As a result the teeth were discolored and embarrassing to her. 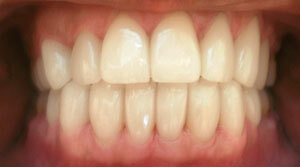 18 porcelain veneers gave her a new smile which matches her personality!